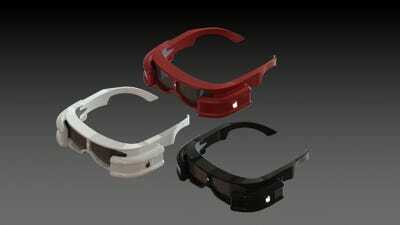 For years now, we’ve been hearing that Apple is working on a pair of smart glasses powered by augmented reality. Augmented reality (AR), for those unfamiliar, lets you see virtual images in the real world. Apple’s smart glasses probably won’t be ready until around 2020 at the earliest, but if you’re wondering what that might look like, the popular freelance and crowdsource marketplace Freelancer.com recently held a contest asking designers to dream up a pair of Apple-made smart glasses. 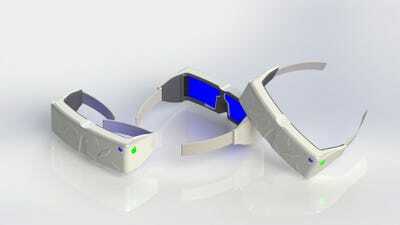 The competition featured 60 entrants and a $US250 prize. We’re guessing the ski goggle-like set up on the bottom is for a fully immersive virtual reality gaming experience, and the glasses at the top are for everyday use and maybe some casual gaming. The first runner-up was this concept from 26-year-old Kervin Tuazon of Marikina City, Philippines, who was clearly inspired by Apple’s Magic Mouse. 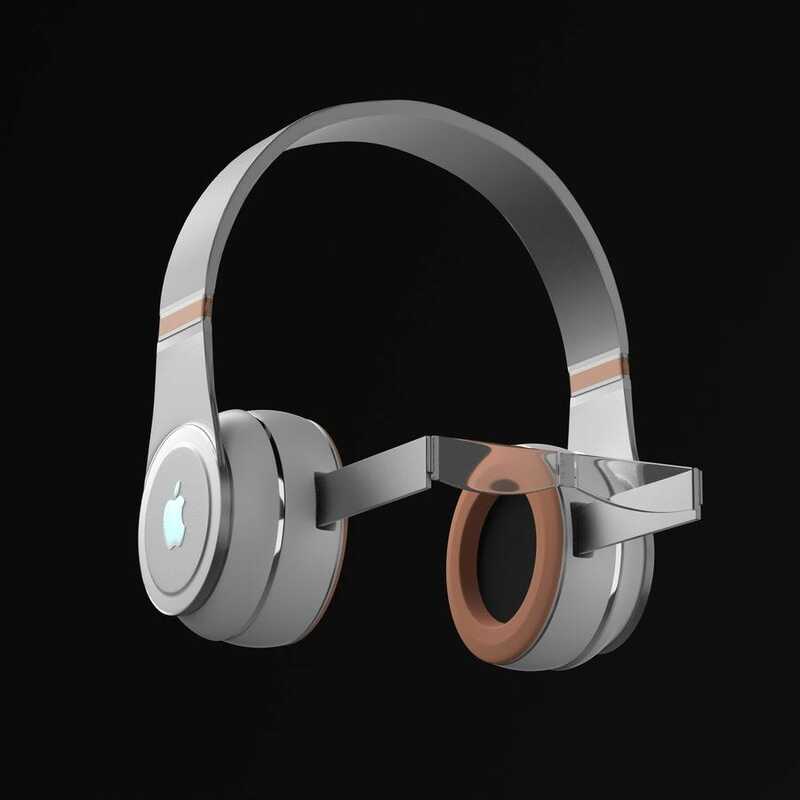 The second runner-up was this Apple smart-glasses concept from Kelly Echavarria Toro, a freelance designer from Antioquia, Colombia, who imagined a completely immersive AR headset that combines both high-end audio and visuals. This one looks like a combination of the iOS and macOS interfaces, but inside a pair of glasses. 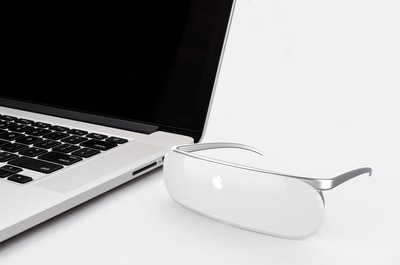 This almost looks like an Apple version of Google Glass. 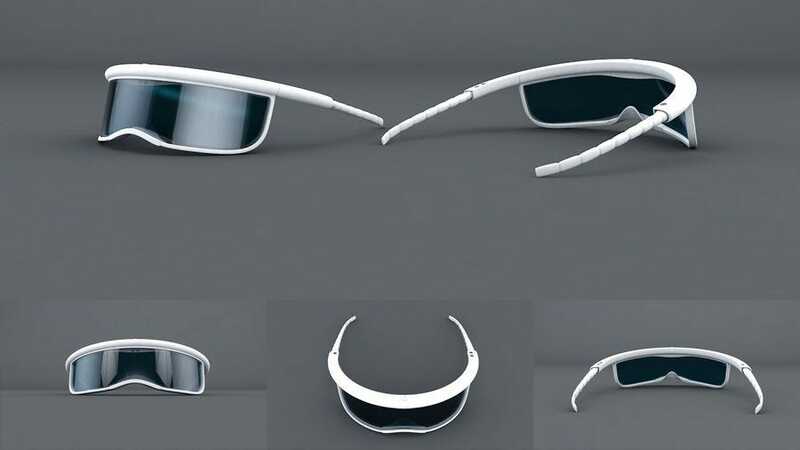 This is really more of a helmet, and has none of the subtlety of a pair of normal glasses, but it’s still a neat concept nonetheless. Note the old-school iPhone power button on the side of these glasses. 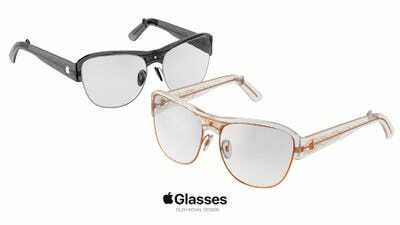 No Touch ID, really? 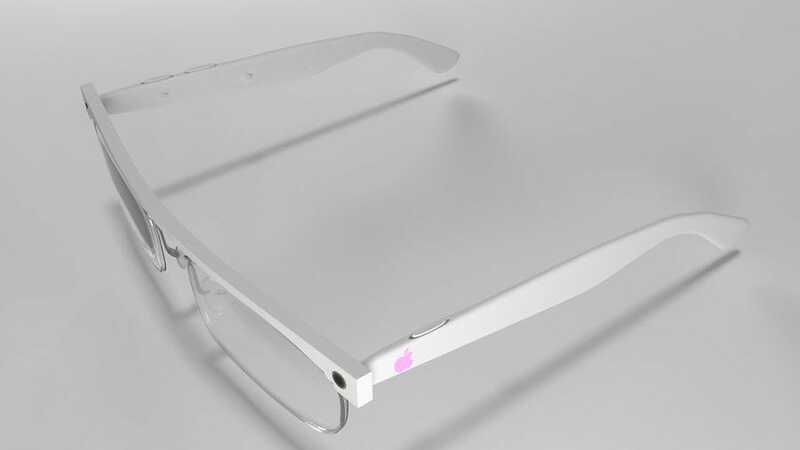 This Apple glasses concept features its design in a few different colours. 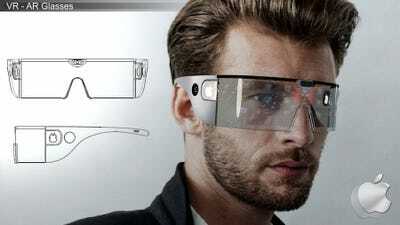 This closed-off concept might be more useful for VR instead of AR, but a camera on the front of the device might still let you see the outside world from within the glasses. Quijada’s concept uses cameras, sensors, and mirrors to create a comfortable but futuristic AR viewing experience. 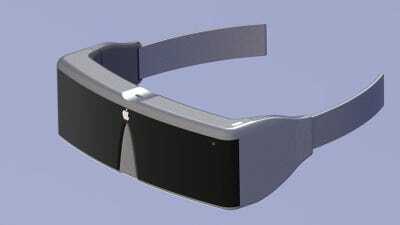 This concept shows a near-transparent band in front of the wearer’s view, where one might assume virtual elements would appear. 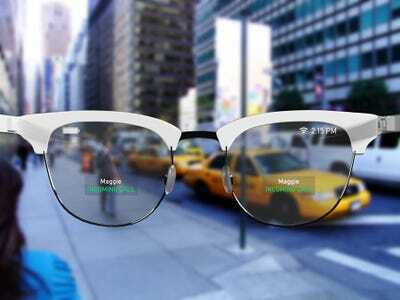 This AR smart-glasses concept has a curved display to cover your field-of-view. 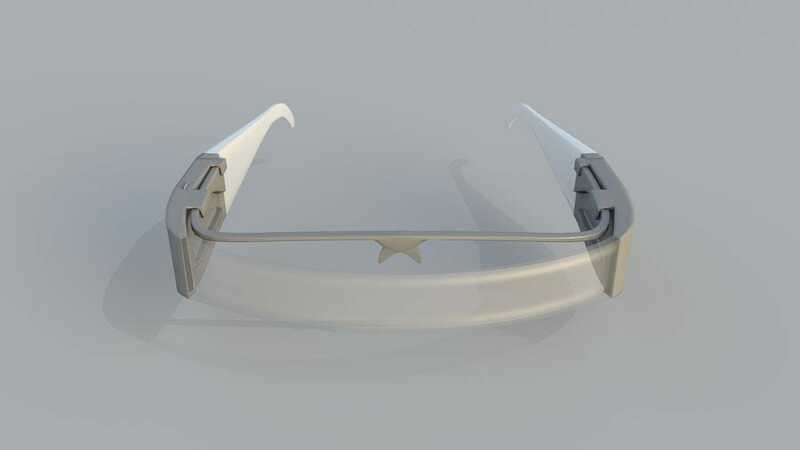 This concept might look futuristic, but judging by the shape of the frame and the lack of space to rest on your ears or nose, this would probably be uncomfortable to wear. 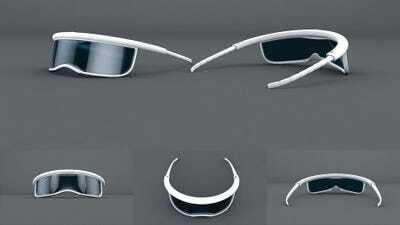 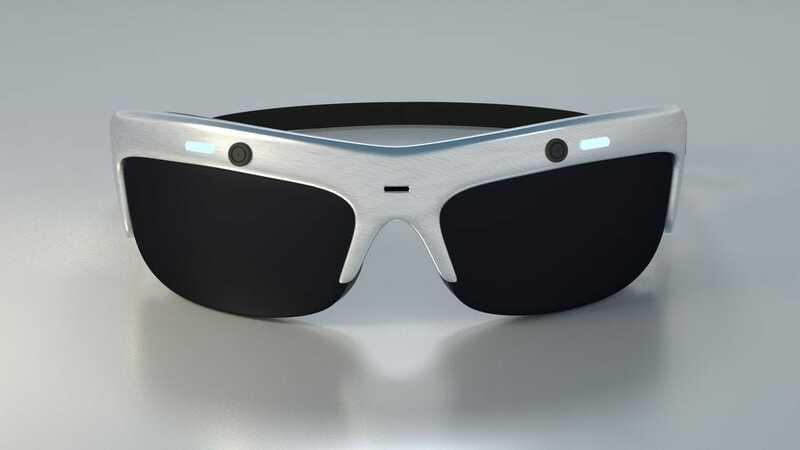 This concept looks like a normal pair of glasses, which is the ideal that most AR-headset makers are building towards. 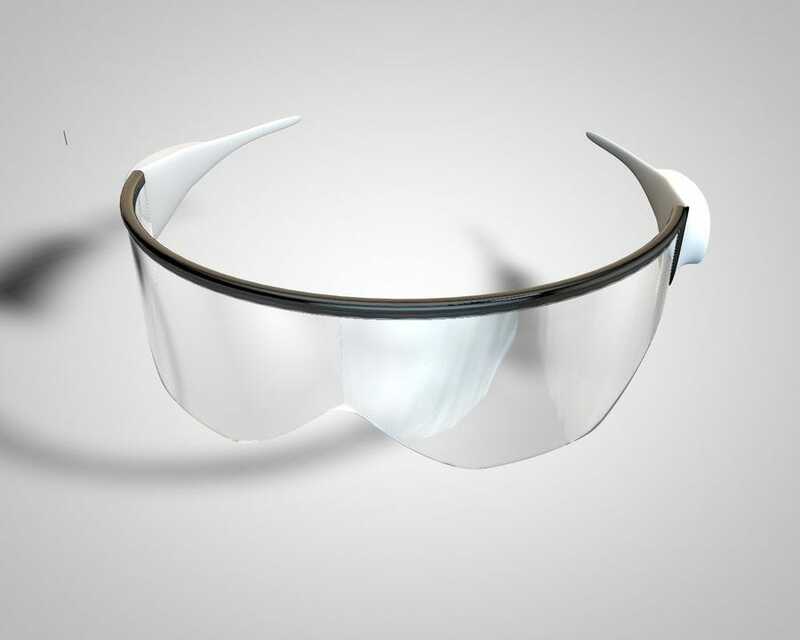 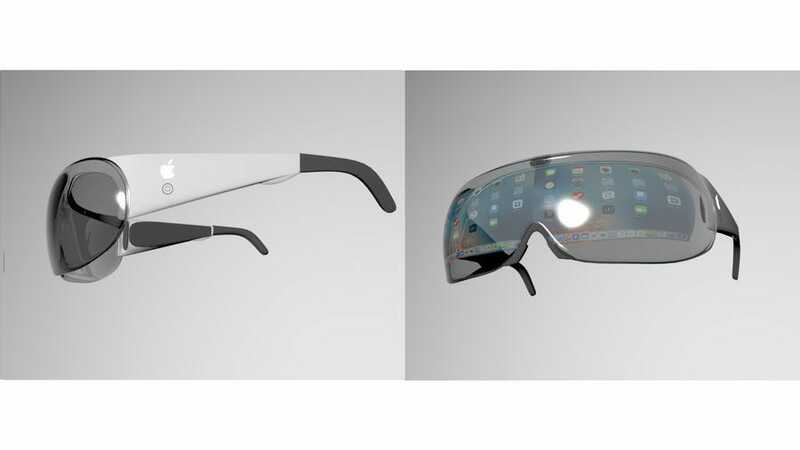 This Apple glasses concept almost looks more like a traditional face shield. 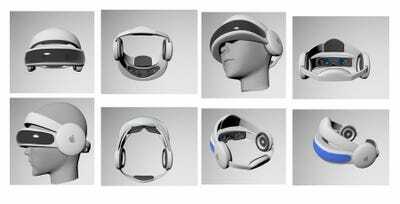 Maybe we’ll be doing lots of welding in the future. 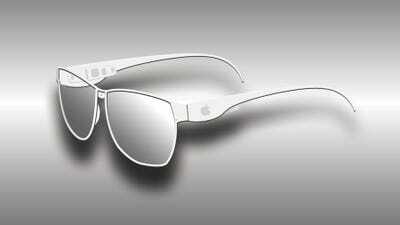 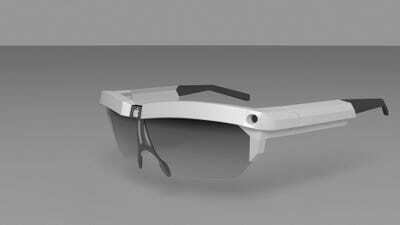 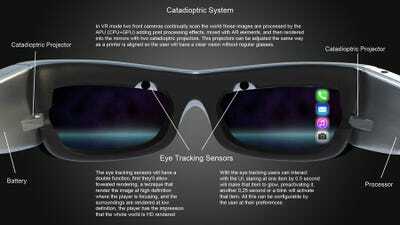 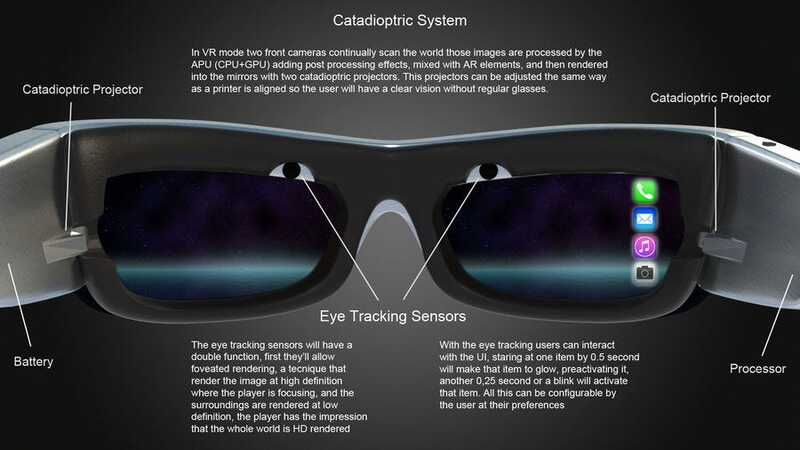 Here’s another concept for Apple smart glasses that hardly looks technological at all. 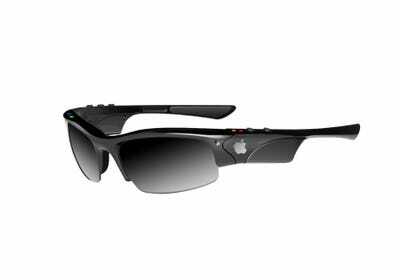 If you look closely, though, you’ll spot a front-facing camera (or sensor) directly in the middle of these glasses. 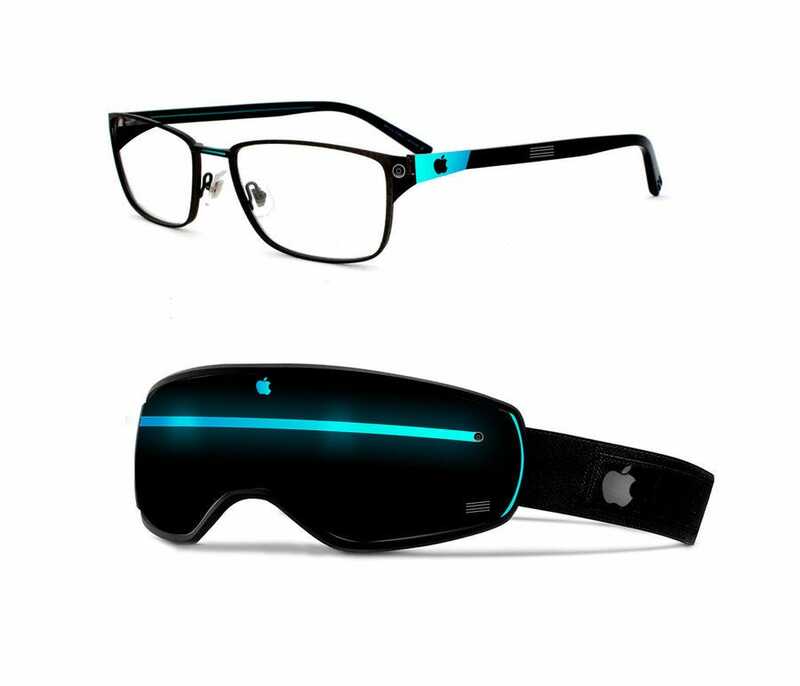 Here’s another slick-looking concept with cameras and light-up Apple logos on each side. This concept really looks like a pair of modified Oakleys — for better or for worse. This concept shows what Apple-made glasses would actually accomplish: being able to get directions, or take calls, without needing to remove your phone from your pocket. 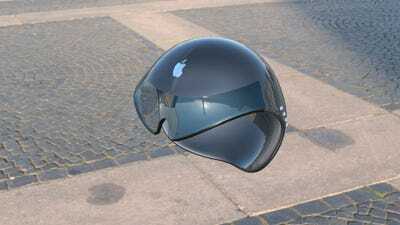 That’s what people are excited about. This polygonal concept does look dorky, especially with the Apple logo in the center, but at least the nosepads and side arms look comfortable to wear. 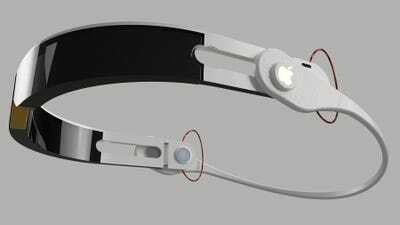 And finally, this might be the best and most original concept of the bunch: From Kazakhstan designer Sofya Medvedeva, this is actually a pair of Apple-made headphones where the glasses come out of the sides of the earcups through a mechanism and join in the middle to create a pair of smart glasses.